4.5 Inch Save the Date Full Color Circle Magnet – Can you miss the lure of vibrant object seeking your attention? No, right because it’s a human tendency to get attracted to beautiful things, you cannot simply ignore their lure. 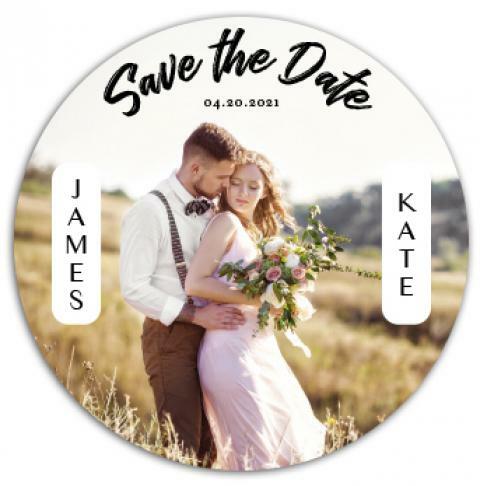 We all love to cherish the beauty for a lifetime, similarly a vibrant save the date wedding magnets announcing the big day will not be ignored. People will not only make it a point to keep them free for your big day, but also cherish those memories for a lifetime by preserving this vibrant magnet. Product Size: 4.50 in. x 4.50 in.